Congratulations to Iowa City West High for placing 2nd at the 2011 Iowa Jazz Championships. 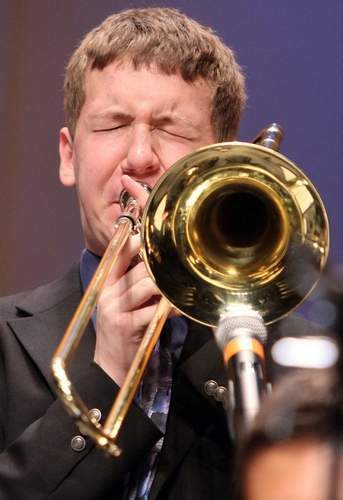 One of my students, Blake Manternach, is in the ensemble and had a close-up picture that ran in the Des Moines Gazette. Congratulations to Blake and to everyone in the West High jazz band!